You should consider going here. 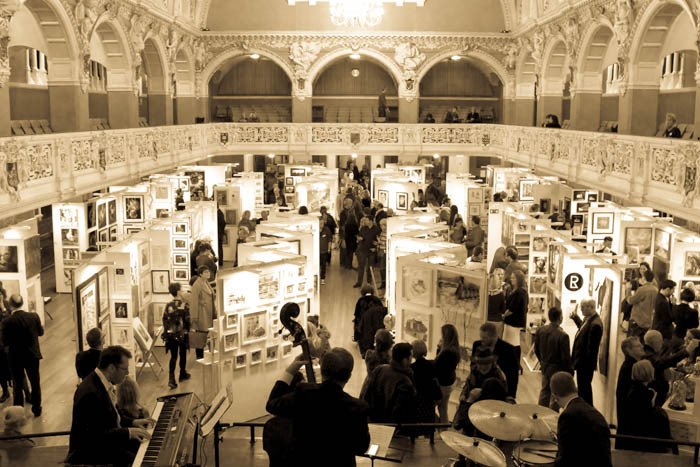 It’s the Oxford International Art Fair. There is, of course, a wealth of exhibitions, museums and showcases across Oxford, so all I’m doing is offering another suggestion. I hope for you too it’s still Sunday afternoon. If not, you’ll be too late to enjoy this event, and I must warn you henceforth, this simply isn’t a deserving ekphrasis. I wouldn’t necessarily even recommend going for the art – although that’s good too. You’ll find yourself somewhere quite different, quite detached, and quite serene provided you go here on your own. You’ll probably meander the three rooms, mazed with the scopular arrangement of art stands, and as you do, you have leave to gaze up, around, not quite anywhere in particular. You’ll probably pass one stall which is a throwback to the impressionist era. Here, you’ll partially close your eyes, imagine they’re watering themselves in the brightness of some pastoral scene in the early morning, maybe jerk your head side to side and try to catch something unnatural, non-photographic about these paintings. You’ll come across a series of photographs next – huge – and wonder what mighty camera stole these moments. At one point, you’ll undoubtedly here an Italian, scarved in blue, approach another Italian and exclaim ‘Stupendo… mi spieghi…’ before you move off, hearing the tail-end of a ‘Grazie’. I hope there’s jazz for you too. Perhaps a trio, one with eyes closed tight, another gazing sombrely over the hall. The third I’ll leave to your imagination. Their music permeates and takes you out of yourself, out to the point of recognising every other wanderer, lost in the heady mix of music, art and a Sunday afternoon sensation of delight. Just don’t think too much about the art. Stall holders seem slightly too eager to sell their work, and that’s just not what we want here. It’s fine though: it’s the perfect place to lose yourself, even just for 10 minutes. 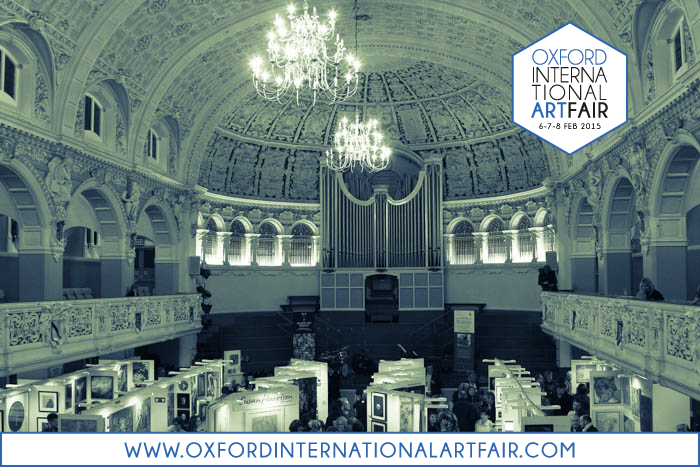 The Oxford International Art Fair continues in the Town Hall until 17:00 on Sunday 9th February. Entry is free and well worth it.